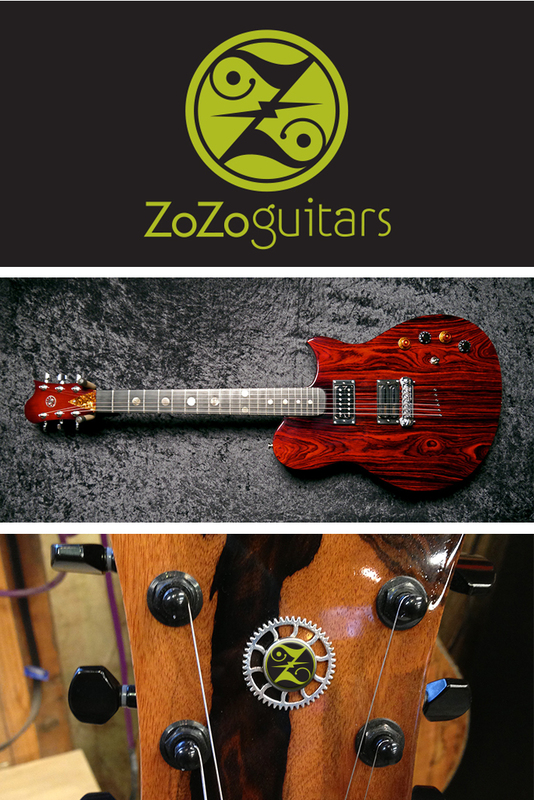 Music fanatic, good friend and amazingly creative woodworking artist Thom Scott of Westport, MA has been branching out beyond his usual commissioned work in furniture and cabinetry to create amazing one-of-a-kind electric guitars in spectacular exotic woods and custom hardware. We’re all having so much fun with this project we’re giddy. Bet you wish you stuck to your music lessons when you were a kid, don’t you? An abundance of fine art and artisan crafts…Cornucopia! 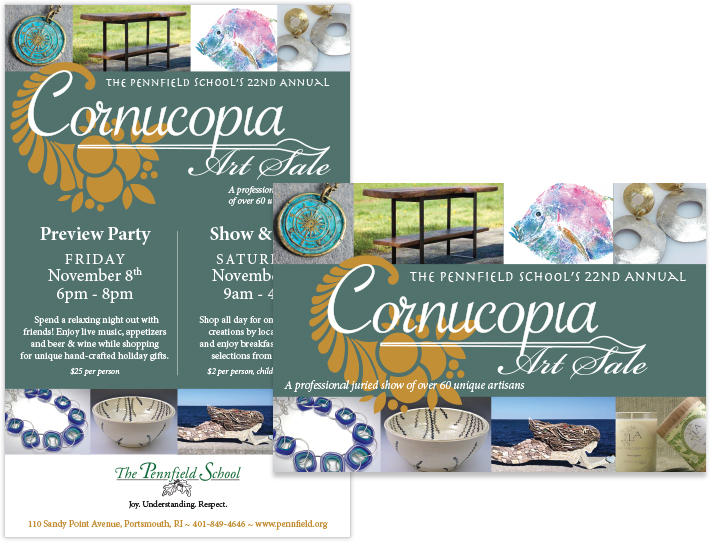 For the 22nd year in a row, The Pennfield School of Portsmouth, RI will be hosting Cornucopia, a juried art show and sale featuring over 60 artisans from around New England. Every item in the show is made by hand and the sale draws a wide audience of shoppers beating the holiday rush. Grow is pitching in to help out by refreshing the event logo and creating this year’s poster design, direct mail, advertising and show guide. 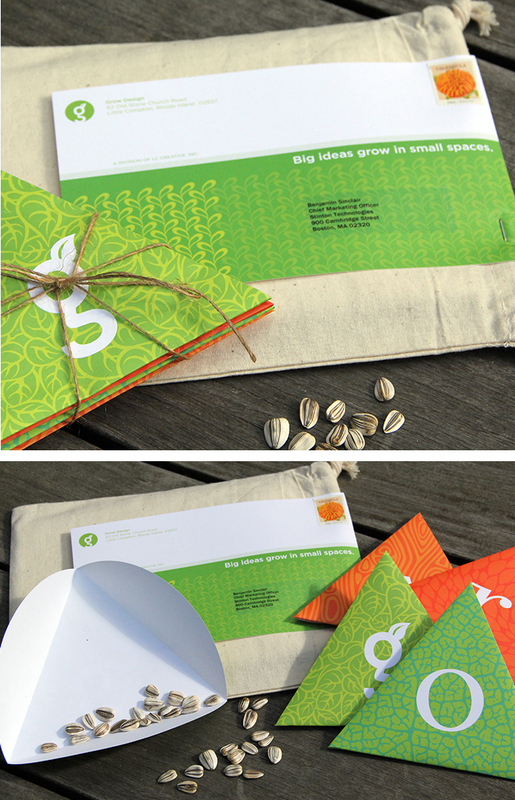 Each year we like to connect with our clients, friends, colleagues and prospects with a super cool direct mail piece. Yes we said direct mail! It’s our way to stay connected to thinking tactile, thinking out of the box, and creating a unique one of a kind promotion. If you’d like to get on the list, just drop us a line. We love to share!